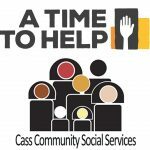 ATTH volunteers will paint the first-floor main hallway and stairwell at the Detroit Rescue Mission Ministries’ Genesis House III shelter for women and children. If there is time, we’ll also sand the stair railings in the main foyer. 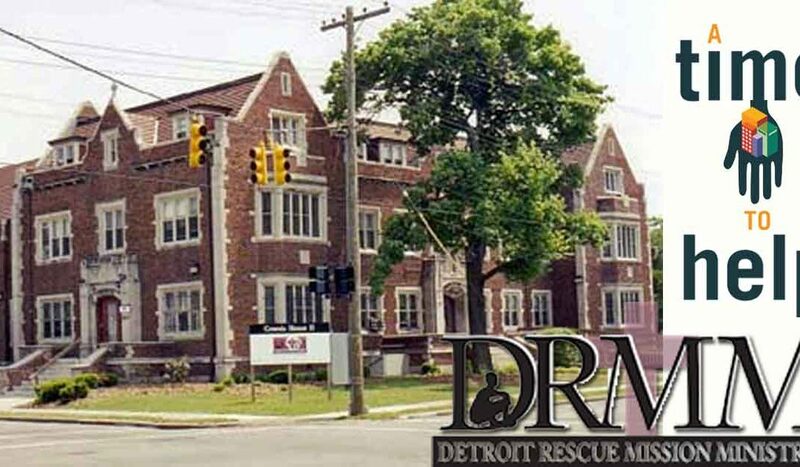 The DRMM, which is S.A.Y. Detroit’s operating partner, offers both transitional and permanent housing in its programs to prevent any return to homelessness and addiction. DRMM believes everyone deserves care, a warm meal and a safe place to rest your head. Time: 9 am – 12:00 p.m. Parking: Parking is available on the street in front of the building (which is marked as Genesis House II), or on 14th Street, near the side of the building. Please enter the door on the side of the building next to the ramp. Look for ATTH signs. Attire/Other Info: As this is a painting project, please dress appropriately. We request adults only for this project. 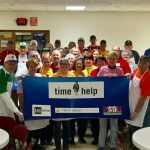 Paint will be provided, but we are in need of all other supplies such as drop cloths (plastic is fine), painting tape, brushes and rollers, drip pans, and 5 ladders as the walls are high. We will not be painting the ceilings. Please write your name on the materials that you’re bringing. 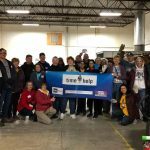 Please let us know if you can bring a standard ladder via email at atimetohelp.detroit@gmail.com.